The portrait above came from the collection of Nancy Lee Goodman Cauble, the G.G.G. Granddaughter of Rev. William H. Taylor who married Mary W. Ferguson of Buckingham County. For forty years, Rev. Taylor preached at Buckingham County’s Mt. Zion Baptist Church; he is buried in a solitary wrought-iron fenced area near its front door. Stories passed down through Nancy’s family describe Rev. Taylor preaching in the fields and riding on horseback to Appomattox County to minister there. Some of his marriage returns are preserved in Lost Marriages of Buckingham County Virginia, compiled by Randy Kidd and Jeanne Stinson. This valuable Buckingham County resource is available online from New Papyrus Publishing Co.
A typical entry: Abner Hudgens married Elizabeth Lee Snoddy, 24 December 1868, Buckingham County, Virginia, married by William H. Taylor. GROOM: age 23, single, born Buckingham County, son of Albert Hudgens and Mary S. Hudgens, occupation: farmer. BRIDE: age 17, single, born Buckingham County, daughter of John J. Snoddy and Barbara Snoddy. Mt. Zion was started after a July 30, 1838 James River Baptist Association meeting was held at Mulberry Grove Meeting House. It was decided at this meeting to divide several churches into separate churches as a convenience to the members (many had to travel good distances to attend church services). Buckingham Baptist, on August 18, 1838, therefore voted to dismiss a number of it’s members for the purpose of forming an independent church at Liberty Meeting House. The dismissed members called a presbytery, consisting of Elders Joseph Jenkins and P.P. Smith to meet with them. There, on September 14, 1838, they organized a missionary Baptist Church to be known as Liberty Baptist Church with 100 charter members. He resigned in July 1842. 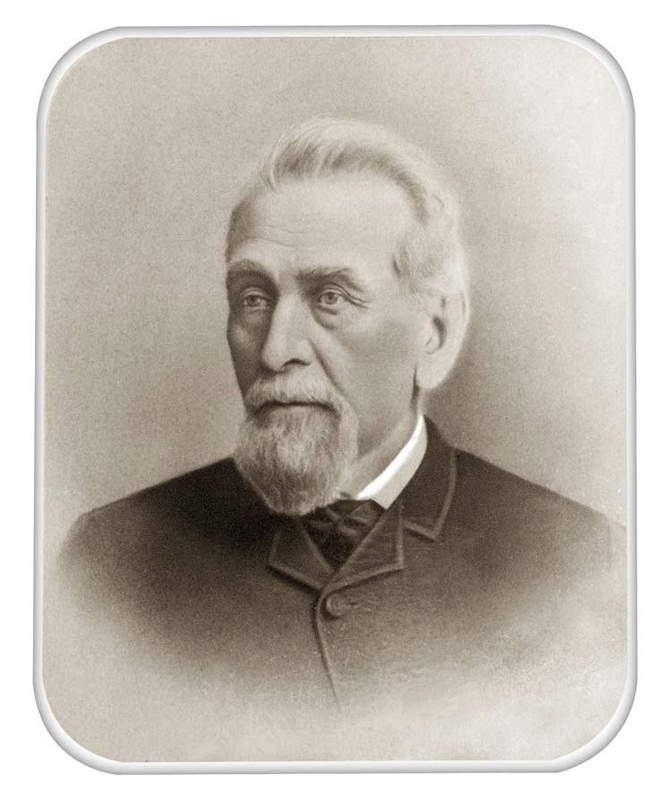 The history goes on to say that Pastor Smith had not only served Liberty’s early years but that he also took an interest in the James River Association and in the other churches in the community. He served as the Association’s first clerk, preached it’s first annual sermon and was it’s moderator for seven years. He is reported to have preached 300 sermons in a year, baptized forty to sixty persons at a time and traveled great distances to serve his churches. By the way, the church made a decision in May 1844 to change it’s name to Mt. Zion because there were two other churches by the name of Liberty already in the association. Many thanks for identifying Rev. P.P. Smith. I believe he is a cousin of my ancestor Alexander Cheatwood Smith. This Mt. Zion history will be finding its way into future Slate River Ramblings posts. Joanne, here is some more information I thought you would enjoy. William Harris Taylor was born in Buckingham County of humble parentage. His educational advantages were very limited, not having attended the “old field” schools of the day. In 1830, at the age of 19, he married Miss Mary W. Ferguson. In his early youth and manhood he is said to have been a leader of fun and frolic and much given to dissipation. However, he possessed a fine mind and an unusual memory. He amused his boyhood companions by mocking the preachers he had heard and by repeating their sermons. He was converted during a revival meeting at Enon Baptist Church and baptized by Rev. William Moore. At the time of his conversion he was about 30 yrs. old. He was ordained in 1842 and in March of 1843 accepted the call of Mt. Zion Baptist Church to become it’s 2nd pastor. Preacher Taylor was Mt. Zion’s 2nd pastor. He served the church from March 1843 until his death in 1869.At the time of his death there were only 2 members still living who were members at the time he came to the church as pastor. The above paragraphs were taken from A Brief Sketch of the Lives of the Pastors of Mt. Zion read at a Memorial Service during the Celebration of the Centennial of the church on August 7th, 1938. Another interesting bit of information I found in some of my Grandmother’s papers on the history of the church was this: At a church conference held September 22, 1838 the church adopted a covenant and by-laws. Those in attendance: Elder Smith, who became the first pastor, William P. Boatwright, Thomas Boatwright, Orson Martin, Reuben Boatwright, Jr., John Martin, Reuben Boatwright, Ellis Putney, Isaiah Boatwright, Edward Baber and Meredith Davis. Diane, What a wonderful biographical sketch of Rev. Taylor. Many thanks. It is interesting to know about his youth and his later conversion. Do you know the full name of Elder Smith, Mt. Zion’s first pastor? Wedding at Mount Pleasant | slate river ramblings . . . .